Are you looking for a fresh start to stop IRS tax debt? 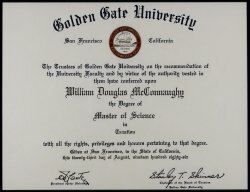 Help with taxes to get a new beginning? Want an IRS tax professional who will give you the best clean slate possible? Tax resolution services from a tax relief company to get a new shot, opportunity, chance to live your life without tax worry? Affordable back taxes help you can trust? If you answered yes to any of these questions, you have found what you are looking for right here, right now. My name is William McConnaughy; I am the owner and operator of this tax settlement company website. I have personally worked and resolved several thousand delinquent tax cases for folks just like yourself since 1992. That makes me one of the most experienced tax resolution specialists in the nation. There is no substitute for experience. I want to put that experience to work for you in securing the best resolution of your tax problem that the law and your financial circumstances will allow. I ask that you consider the following in making a decision on who to hire for your tax relief fresh start. I guarantee in writing the best tax resolution for your situation available to you. I guarantee in writing the most affordable, lowest fee you will pay for this tax relief. I guarantee in writing that you will not be subject to tax levy or IRS garnishment after you retain me for tax resolution services. I guarantee in writing a fifteen day grace period to make your first payment for tax resolution services after I start providing tax relief on your behalf. I guarantee in writing a thirty day, full refund money back satisfaction guarantee after I commence tax services to stop IRS debt for you. Simply put, I am guaranteeing the best tax relief possible, at the lowest cost, absolutely risk-free. It does not get any better than that. I also guarantee that you will always be treated with respect, that inquiries about your case will typically have same day or next day responses, and to be empathic like no one else in understanding where you are coming from in wanting to get this problem resolved. If you are here in the hope of saving a relationship, bettering your emotional or physical health, restoring your credit to build a future, or protecting your career or business…I GET IT. So I ask that you please contact me now; by toll-free phone at 1-888-225-1272, email at williammcconnaughycpa@gmail.com, or use my 24/7/365 chat service found on the right-hand sidebar. Before leaving my website, please watch and listen to the one minute video found in this homepage footer, containing a personal message from me to you. Take care, and I hope to speak with you soon. One last word. This industry is filled with operators who do not practice with high ethical standards or employ people with sufficient experience. For your sake, I urge you to review my website found at www.taxreliefreviews.org for information I have put together to steer the public away from being scammed by these unscrupulous, online tax relief predators. Bonus Reason To Call Me? If you become my tax relief client I will prepare your current year tax returns for you when they must be filed next April 15th for Free. The promises below are written in my Full Service Contract for my clients. I will secure a settlement of your delinquent tax accounts that allows you to keep as much of your money in your pocket either permanently, or for as long as possible. I will beat any fee quote given to you by any tax relief company for similar services to be rendered. I am that confident in my abilities to secure you the best result for your situation. This means I will take action to prevent bank levies, wage or retirement benefit garnishments from being issued against you. As a former IRS Revenue Agent, I offer unique insight into all tax and financial matters that people bring through my doors. 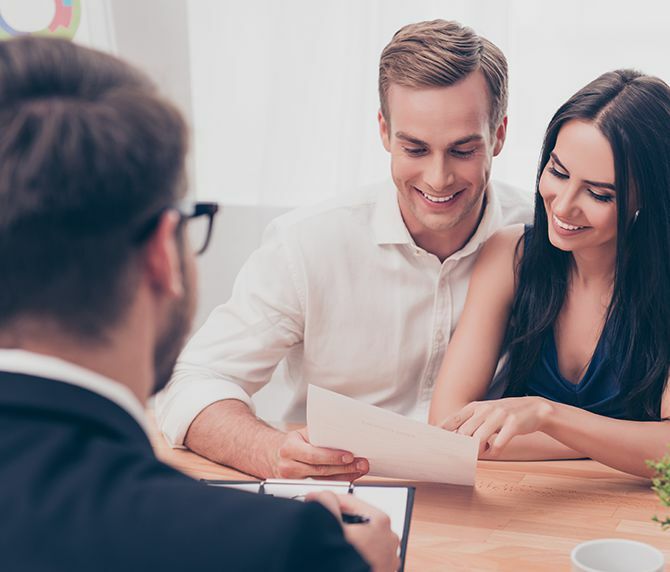 From the moment you initially contact my office to the final outcome of your tax matters, you can rest assured that I will be right by your side every step of the way. I proudly offer tax services that are highly personalized because I know how urgent tax matters can be. Time is ticking away, and your personal assets - some of which may be lifetime investments - could be on the line. With my more than 28 years of experience and Master of Science in Taxation degree, I can be trusted to help you protect the assets and properties that you have invested time and energy in obtaining. I may have the experience and education to help you, but what truly sets me apart from other accountants is my personal approach to every client's situation. I know that your finances can often influence your personal well-being, so I handle every case personally. When you know your personal finances are in order, you can begin to experience the freedom of living life financially stress free. 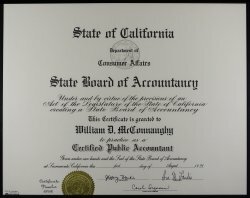 I am a certified public accountant with over 28 years of experience. As a former IRS Revenue Agent with a Master’s Degree in Taxation, I have helped countless individuals. Watch my video and contact my office today for help with your tax needs. Hear From Over 100 Happy Clients! As a former IRS Revenue Agent, I have the knowledge to help you. Read about my past victories to better understand how my office can help you!